We continue to follow up on one of the most exciting new projects in Emery Village –our future Indigenous park. As last reported, the Etobicoke/York community council deferred discussion of the December city parks, forestry, and recreation staff report until Feb. 21. The meeting did take place and the project has momentum. The council process is not simple however. There are many City of Toronto departments involved including, planning, roads, parks, and recreation and the approval of Hydro One is needed to allow the land use for a park. 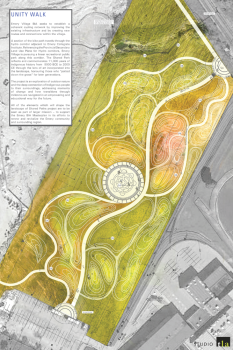 As a background, the Emery Village Business Improvement Area proposes the Indigenous park as a new green space area to educate the public about the daily activities of Indigenous peoples on land owned and occupied by a hydro right-of-way south of Finch Avenue West on the east side of Weston Road. Most recently parks staff, roads, councillor Giorgio Mammoliti and Etobicoke council, have reviewed preliminary drawings at an earlier Etobicoke Council meeting, Councillors all gave the project a unanimous approval to proceed. Councillor Mammoliti is optimistic about things moving forward with the approval but feels he must mention that there are always political naysayers out there that will try to derail the project. Currently there is $1 million put aside from the local developer that is earmarked for local projects – the Indigenous Park being the main one. Councillor Mammoliti along with the Emery Village BIA, who will also be partially funding then park, and city staff are all looking forward to meeting with Hydro One to negotiate an agreement to utilize the corridor space. There will be public consultations so keep your eyes open for those details. If things go well, and with the blessing and input of the three Indigenous bands involved, approval could come as early as October of this year. The building of the Park would likely take two to three years to complete.